Once again, our purpose is to recognize them, and let them know we appreciate the years that they served their country during the World War II hostilities. John was born November 12, 1923 in Glasgow, Scotland. At the age of 19 years (1942), he volunteered and was accepted into the Royal Air Force to train as a navigator. Training took place in Babbacombe, near Torquay England, Mount Hope, near Hamilton, Ontario (where he fell in love with Canada) and other British Bases. Inadvertently during a training exercise we broke cloud over an in-bound convoy and were subjected to ack-ack fire. We quickly took evasive action. 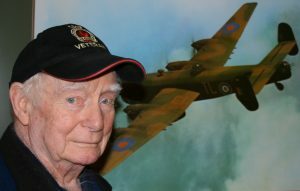 Upon completion of his final training session in anti-aircraft techniques, he was posted to Bomber Command at Oulton, England. He was assigned to secret missions over Europe which attempted to lure the Luftwaffe away from Allied Bomber forces. This was a very interesting and dangerous job; however, his most frightening experience occurred at his training billet in Babbacombe. John says he was on way outdoors when he heard the machine guns firing and as he hesitated, a bomb came over his head and exploded in the yard! In 1945 he was assigned to Transport Command at Shepherd’s Grove and was involved in ferrying troops to Egypt via Libya until he was grounded in 1946. From 1951 to 1958 he served as Training Officer for the Glasgow Wing Air Cadets teaching navigation skills. In his private life, he married Margaret in 1945 and subsequently 3 children arrived. In 1958 John and his family immigrated to Canada and settled in Richmond, BC. At 35 years of age, he entered University of British Columbia and earned his Diploma in Office Management. During his years in Richmond he served for nine years on the Richmond Hospital Board three as Chairman and nine years on the Family Court Committee. 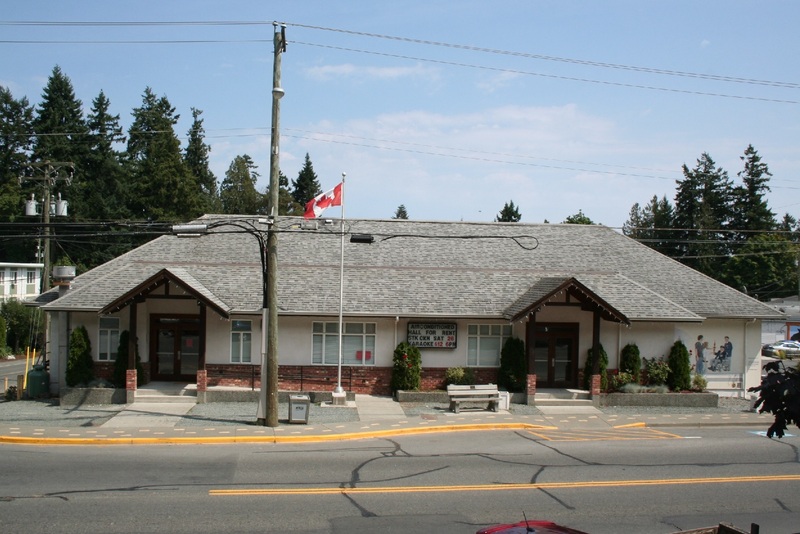 John and Margaret moved to Ladysmith in 1986 and transferred to The Royal Canadian Legion, Branch 191 Chemainus. John served on the Executive Committee for a number of years along with Lorna Nichols, Jim Riley and Frans Vandenbrink. Sadly his wife Margret passed away in 2002, leaving John on his own, but with a family of three children, six grandchildren and eight great-grandchildren. We see John at Legion Meetings, Remembrance Day activities and Legion social events often accompanied by his friend Betty Boulton. John enjoys a quiet life doing cross word puzzles and reading good books. John Saqui (Poppa) passed away peacefully on Oct 24th 2018 in Duncan British Columbia just shy of his 95th birthday (Nov 12th 1923). Predeceased by his wife Margaret Saqui (Gran) and survived by his three children Allan Saqui, Marion Lockwood (Brian Lockwood) and Doug Saqui (Mary Ann Saqui). 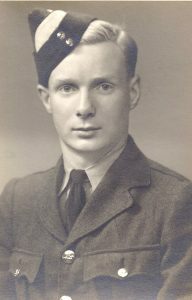 John was born in Govan, a suburb of Glasgow and proudly served with the RAF as a navigator before moving the family to Canada in 1958. He spent the rest of his career as an accountant before retiring in Ladysmith BC. John was the proud Grandfather to 4 grandchildren and 9 great grandchildren as well as a life long friend to Elizabeth Boulton. The family will have a private service to reunite John and Margaret later this year. Navigate the heavens safely my friend, you will be missed!